I had heard about Las Vegas weddings, where couples run away to the desert Shangri-La and get hitched in a kitschy chapel away from prying eyes. 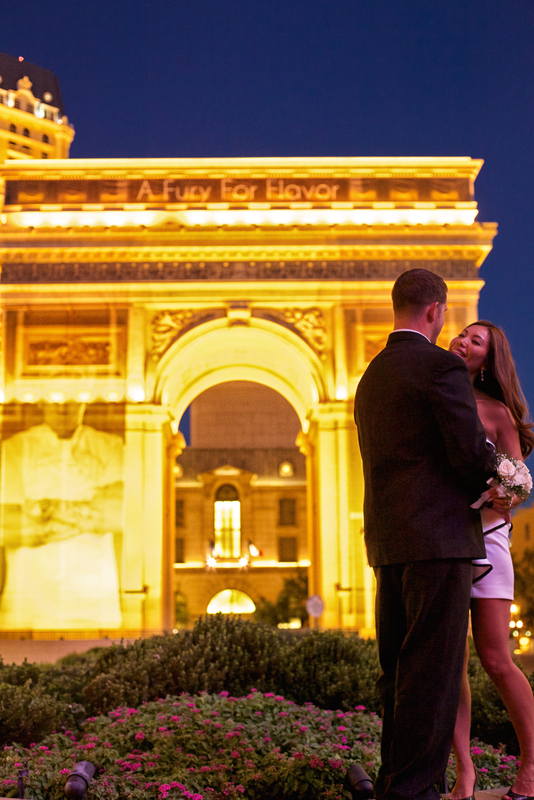 So it was with great satisfaction that I chanced upon this couple tying the knot (or having their photos taken) in public just around the corner from Paris Las Vegas in front of a mock Arc De Triomphe emblazoned with a giant Gordon Ramsay. “Fury for Flavour”, it seemed an apt caption for a couple in love, sort of.